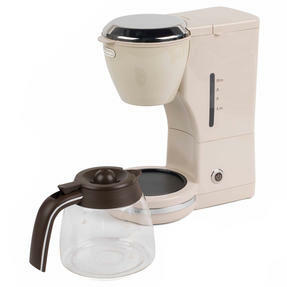 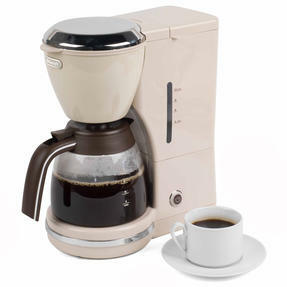 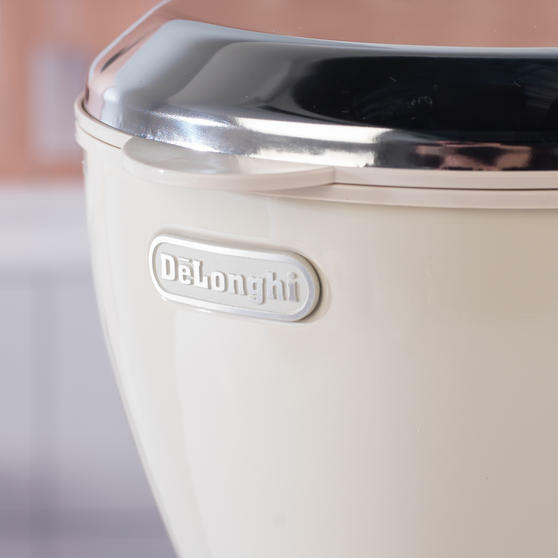 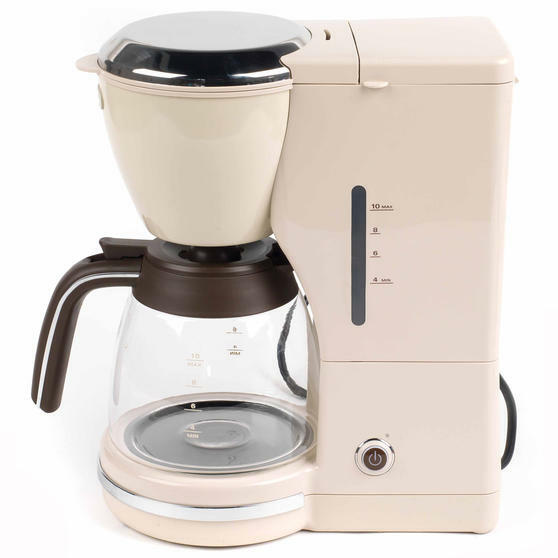 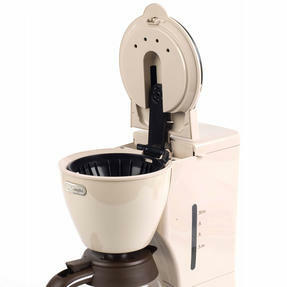 Enjoy fresh filter coffee whenever you fancy with this vintage-style DeLonghi Icona coffee machine, featuring a durable beige plastic exterior and 1.25 L glass carafe with a brown handle. 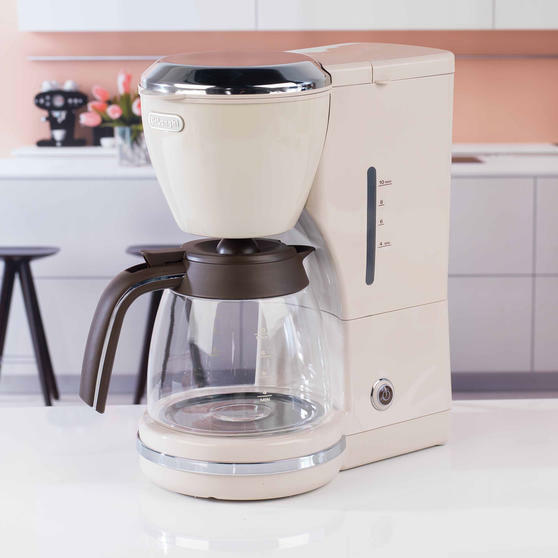 The 1000 W unit has simple button controls and eco-friendly functionality that automatically switches it off after 40 minutes to conserve energy. 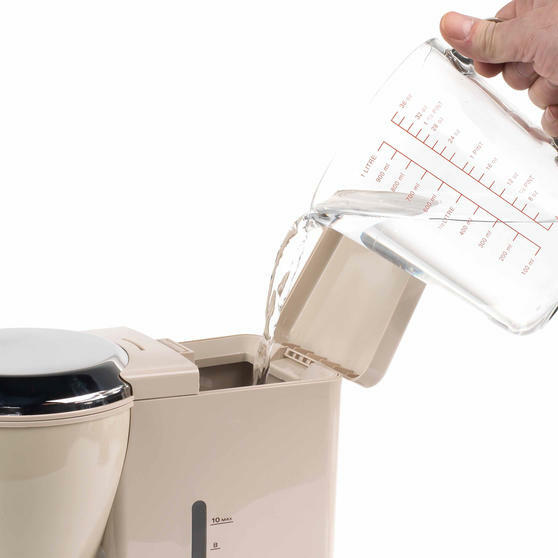 With a built-in water level window, it can be easily refilled via the top hatch without moving the unit, making ideal for family kitchens or office break rooms. 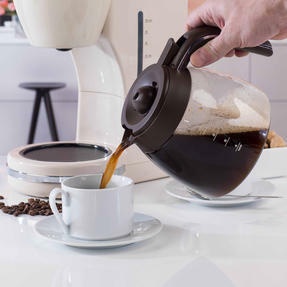 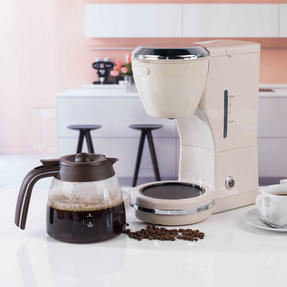 This DeLonghi coffee machine is equipped with a generous 1.25 L carafe, enough for making up to ten fresh cups of coffee at once. 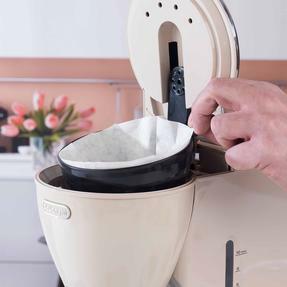 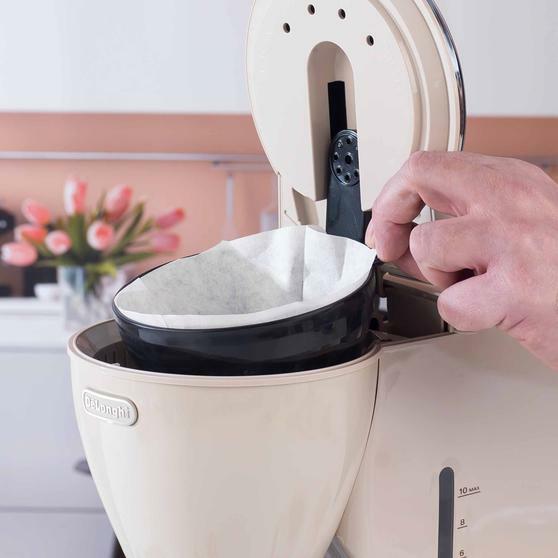 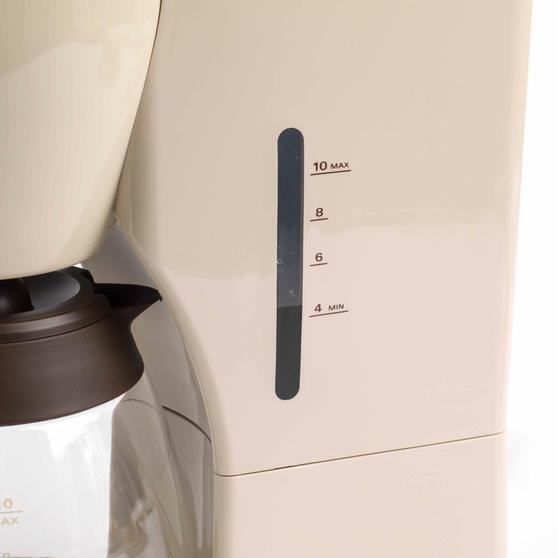 The 1000 W filter coffee maker has an environmentally friendly auto-shutoff function that turns the unit off after 40 minutes. It features a handy keep-warm plate located under the carafe so can be confident every cup will be as hot and fresh as the first. Perfect for a morning cup of coffee at home, it is equipped with a V-shaped removable filter that ensures a robust flavour profile. Measuring 17 x 27.4 x 34.6 cm with a chic vintage design, its subtle beige and chrome finish will add a touch of style to any kitchen.